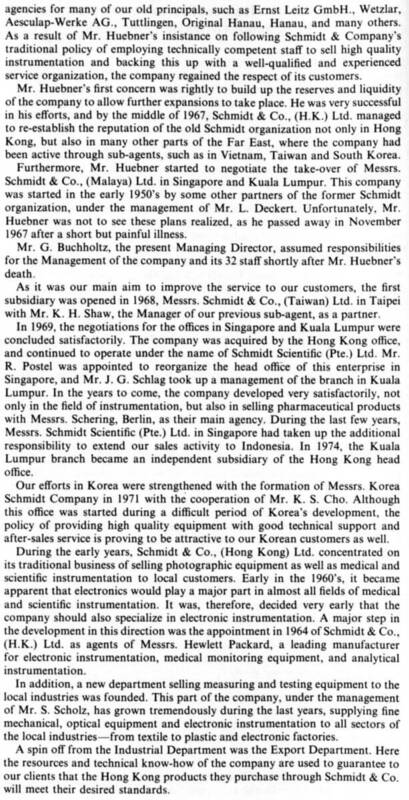 IDJ and HF: The origin of Schmidt & Co., (Hong Kong) Limited can be dated back to 110 years ago when Paul Schmidt founded the Schmidt Group of Companies in Tokyo under the name of Schmidt Shoten in 1896. The Group opened its first office in Beijing, China in 1911. 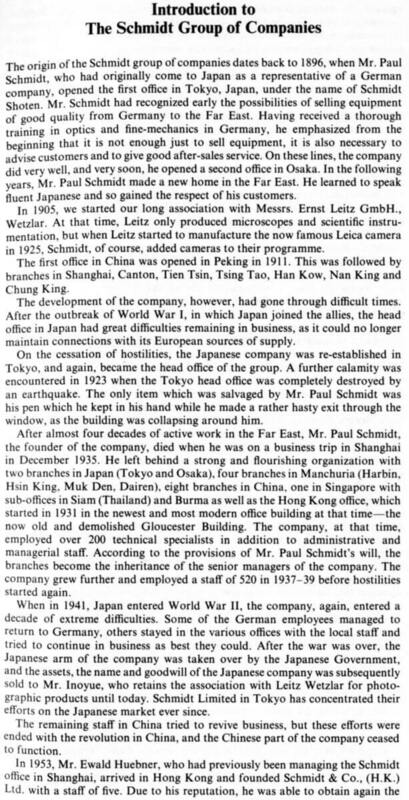 In the following years, additional branches were established in major cities throughout China and a branch in Hong Kong in 1931. John Dempsey: I am a Leica historian. 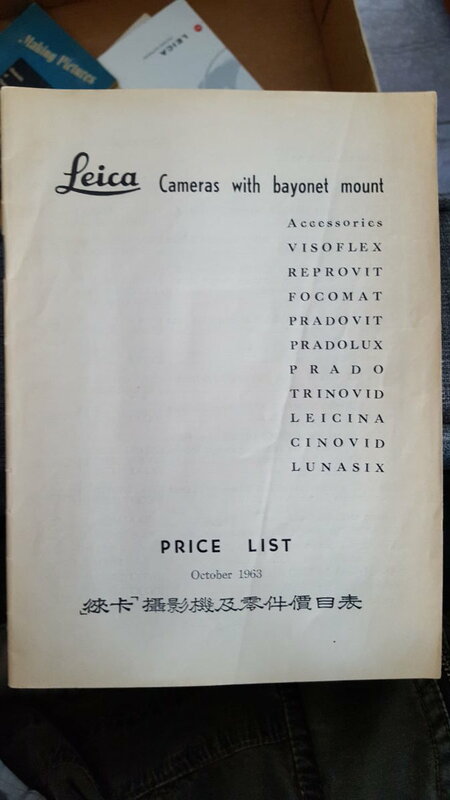 In a large lot I recently found a brochure from Schmidt & Co. (Hong Kong) Ltd. Interesting date 1963. 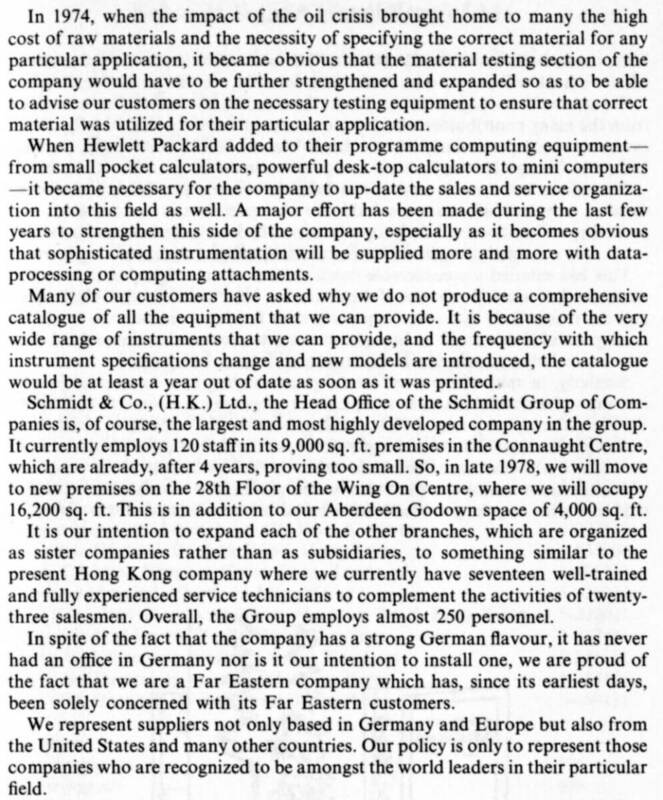 Thanks to IDJ who has provided the intro above from a Schmidt & Co pocket book titled “Formulary” first published in 1978 and comprising over 300 pages of very useful formula in a number of scientific, medical and engineering categories. The image of the company’s branch in Shanghai comes from its website. This article was first posted on 17th August 2015.